Tonight, the Lady Leopards will play Waxahachie in the 1st round of the UIL Texas HS Volleyball Playoffs. The match will be at 6:00 pm at Ellis Davis Field House. Tickets are $5 for adults and $3 for students. Be there and be loud! Good luck Lady Leopards! 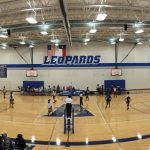 The Lady Leopards volleyball team won another District 13-5A contest, this time over Samuel, 3-0. Congrats to the Lady Leopards and Coach Freeman and Coach Lee. Keep it going! The Lady Leopards defeated South Oak Cliff 3-1 tonight in District 13-5A play. Congrats Coach Freeman, Coach Lee and the Lady Leopards! 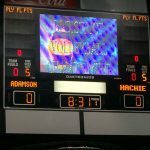 The Lady Leopards will host Kimball tonight in Adamson’s first home district game of 2015. Come cheer loud for the Lady Leopards and good luck to the teams and Coach Freeman and Coach Lee. Congratulations to the Lady Leopard volleyball teams for their sweep on Conrad last night! Keep it going girls!!! Congrats to Coach Freeman and Coach Lee as well! 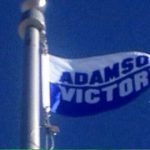 The Adamson Leopards will battle Life Oak Cliff today and 6:00 and 7:00 as the 2015 season rolls on. The Lady Leopards are currently 3-3. The Leopards will travel to Conrad this Friday.